Susannah Flesher was born circa 1784. As of 10 August 1815,her married name was Goff. She married John Goff, son of Salathiel Goff and Elizabeth Sheredine Gray, on 10 August 1815 at Harrison, Charles County, Virginia. Mary Richardson was born on 11 November 1821 in New Kent, New Kent County, Virginia. As of 16 August 1848,her married name was Goff. She married John Goff, son of Salathiel Goff and Elizabeth Sheredine Gray, on 16 August 1848 at Jackson, Amelia County, Virginia.1 Mary Richardson died on 2 December 1884 at age 63. Hiram Goff was born on 24 December 1855 in Kanawha City, Kanawha County, Virginia. He was the son of John Goff and Mary Richardson. Hiram Goff died in 1880. John Goff Jr. was born circa 1853 in Kanawha City, Kanawha County, Virginia. He was the son of John Goff and Mary Richardson. John Goff Jr. died on 7 June 1889 in Kanawha City, Kanawha County, Virginia. Alonzo Adam Goff was born on 16 July 1834 in Lewis County, West Virginia.1 He was the son of Salathiel Goff and Margaret Flesher. Alonzo Adam Goff married Nancy Jane Shirts before 1858. Enlisted in Sargent in 6th Missouri S.M. Calvary, Company B. Organized at large February 27 to April 23, 1862. Attached to District of Central Missouri to June, 1862. District of Southwest Missouri, Dept. of Missouri, to December, 1862. District of Central Missouri, Dept. of Missouri, to July, 1863. District of Southwest Missouri, Dept. of Missouri, to Octobcr, 1864. District of North Missouri, Dept. of Missouri, to February, 1865. District of Southwest Missouri, Dept. of Missouri, to July, 1865. SERVICE.-Duty at Cameron and in Central Missouri till June, 1862. Scout in Pettis County July 28-31, 1862 (Co. "F"). Arrow Rock July 29 (Detachment). Ordered to Sedalia, Mo., June 3, arriving June 15, and outpost duty there till August 30. Operations in Saline County July 29-August 2. Lone Jack August 15-16 (3 Cos.) Outpost duty at Warrensburg August 30-September 14. Newtonia September 13. At Sedalia till October 28. Camp Cole October 5. Lexington October 17. March to Harrisonville October 28-November 1. Action with Quantrell at Harrisonville November 3 (Co. "G"). Huntsville November 9. At Warrensville November 27, 1862, to March 15, 1863. At Warsaw till May 3. At Booneville till July. Camp Cole June 8. Florence July 10. Duty at Linn Creek, Warsaw and Osceola. Consolidated at Osceola July 20 and march to Springfield July 27-31. Pursuit of Coffee, Garden Hollow, near Pineville, August 9. Pineville August 13. March to Bentonville, Ark; Fort Gibson C. N. and Honey Springs, and join Gen. Blount. Blount's Campaign in Indian Nation and Arkansas August and September. Perryville August 26. Scullyville, Ark., August 30-31. Devil's Back Bone September 1. Capture of Fort Smith September 1. Expedition to Big Lake, Mississippi County September 7-30 (Detachment). Horse Creek September 17. March to Springfield, Mo., arriving September 13. Operations against Shelby and pursuit to Arkansas River September 22-October 26. Carthage October 2. Neosho October 4 (3 Cos.) Humansville October 16-17. Bloomfield October 22 (Cos. "A," "D," "E," "K," "L"). Harrisonville October 24. Buffalo Mountain October 24. Expedition from Springfield to Huntsville and skirmish November 3-18 (Detachment). Expedition from Springfield to Howell, Wright and Oregon Counties November 28-December 13. Duty at Springfield and in District of Southwest Missouri till July, 1865. Scout from Huston December 9-19. Operations in Northeastern Arkansas January 1-30, 1864. Sylamore Creek, Ark., January 23. Sylamore January 24. Scout from Springfield into Northern Arkansas February 23-March 9 (Detachment). Near Buffalo City, Ark., March 1. Bennett's Bayou March 2 (Detachment). Scout from Yellville to Buffalo River March 13-26 (Detachment). Richland Creek April 13-14 (Detachment). Expedition from Patterson to Bloomfield and Pilot Knob May 16-25 (Detachment). Near White Hare June 15 (Co. "E"). Operations in Randolph County July 23-24. Operations in Ray and Carroll Counties August 12-16. Near Roanoke September 10. Moreau Bottom, Jefferson City, October 7. Near Jefferson City October 8. Russellville October 9. Booneville October 9. Dover October 20. Little Blue October 21. Independence, Big Blue and State Line October 22. Westport October 23. Engagement at the Marmiton (or battle of Charlot) October 25. Mine Creek, Little Osage River, Marias des Cygnes, October 25. Newtonia October 28. Duty at Springfield and in Southwest Missouri till July, 1865. Mustered out July 18, 1865. [S2578] Email from Kathy Goff Kent dated August 2014 to Hunter Wayne Bagwell; Subject Line: Email regarding Alonzo Goff. Benson Goff was born on 18 March 1847.1 He was the son of Salathiel Goff and Margaret Flesher.1 Benson Goff married Laura Jane Doggett after 1865.2 Enlisted in as a private in Company F, Mann's Reg't Texas Cavalry. [S1662] Laura Goff Grave Stone, Find a Grave, www.findagrave.com. [S1663] Walter Benson Goff Grave Stone, Find a Grave, www.findagrave.com. [S1664] Bernice Barfield Goff Grave Stone, Find a Grave, www.findagrave.com. Bernice Barfield was born on 21 November 1877 in Texas.1 As of after 1900,her married name was Goff.1 She married Walter Benson Goff, son of Benson Goff and Laura Jane Doggett, after 1900.1 Bernice Barfield died on 15 June 1962 in San Antonio, Bexar County, Texas, at age 84.1 She was buried at Mission Burial Park South, San Antonio, Bexar County, Texas. Cora Goff was born in October 1875 in Texas. She was the daughter of Benson Goff and Laura Jane Doggett. Kay Goff was born in July 1881 in Texas. She was the daughter of Benson Goff and Laura Jane Doggett. Fanny Goff was born in October 1883 in Texas. She was the daughter of Benson Goff and Laura Jane Doggett. Joseph Randolph Goff was born on 13 March 1860 in Mirabile, Missouri. He was the son of Alonzo Adam Goff and Nancy Jane Shirts. Joseph Randolph Goff died on 4 February 1928 in Colorado City, Colorado, at age 67. Laura Francis Keahey was born on 28 February 1867 in Dale County, Alabama. As of 9 March 1890,her married name was Riley. She married Moses Riley on 9 March 1890 at Dale County, Alabama. As of 27 August 1903,her married name was Bagwell. Laura Francis Keahey married Daniel Franklin Bagwell, son of Private Curtis G. H. Bagwell and Martha Ann Stevens, on 27 August 1903 at Dale County, Alabama. Laura Francis Keahey died on 21 March 1940 in Dale County, Alabama, at age 73. Moses Riley was born in May 1820 in Darlington County, South Carolina. He married Laura Francis Keahey on 9 March 1890 at Dale County, Alabama. Moses Riley died on 20 January 1902 in Alabama at age 81. Easter Emily Mims was born circa 1829. She was the daughter of James R. Mims and Margaret DeBose. As of 11 November 1849,her married name was Dubose. Easter Emily Mims married John E. Dubose on 11 November 1849 at Autauga, Alabama. Virginia Martha Mims was born on 12 June 1839 in Alabama. She was the daughter of James R. Mims and Margaret DeBose. Virginia Martha Mims died on 20 August 1904 in Chilton County, Alabama, at age 65. John E. Dubose married Easter Emily Mims, daughter of James R. Mims and Margaret DeBose, on 11 November 1849 at Autauga, Alabama. 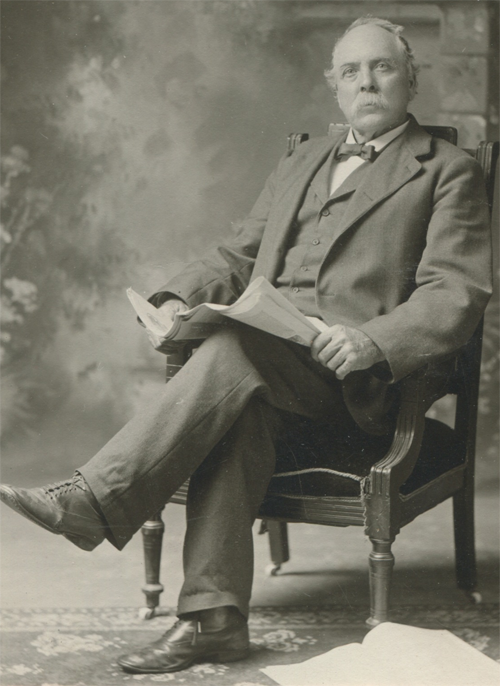 Nathan Newton Culp was also known as Nathan N. Culp Nathan N. Culp was on the 1880 US Census (FHL Film Number: 1908539. )2 He was born on 23 August 1846 in Bibb County, Alabama. He was the son of Nathan N. Culp Sr. and Mary Ann Elizabeth Jones.2 Nathan served in the Civil War as a Pvt in Co H, 63rd Ala. Infantry. Nathan Newton Culp married Margaret Jane Dubose, daughter of John E. Dubose and Easter Emily Mims, on 25 January 1868 at Blount County, Alabama.1 Nathan Newton Culp died on 19 January 1887 in Chilton County, Alabama, at age 40. He was buried at Pleasant Grove Cemetery, Chilton County, Alabama. [S1667] Email from Jim Frey dated 2010 - 2011 to Hunter Wayne Bagwell; Subject Line: RE: Bagwell Family History.